Start with a good breakfast! Most people who skip meals often end up consuming more calories than they would if they were eating regularly. If you don’t have the time or the appetite to eat before you leave for work, try taking something with you as you are less likely to snack on unhealthy things if you’ve eaten properly in the morning. 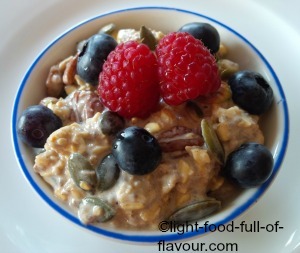 This Bircher muesli is a super-tasty and super-healthy way to start your day. It's easy to make, easy to take with you. 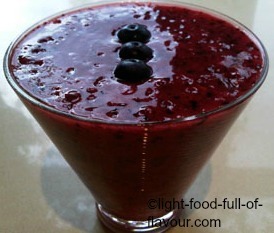 Gloriously tasty and healthy smoothie recipes to kick-start start your day. 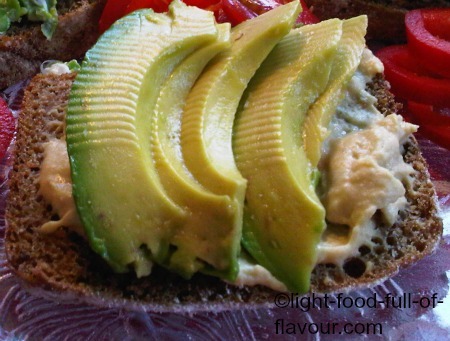 Healthy and super-tasty bread toppings. 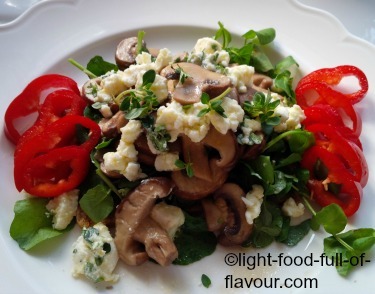 Delicious creamy scrambled eggs that will make the start of your day extra special. 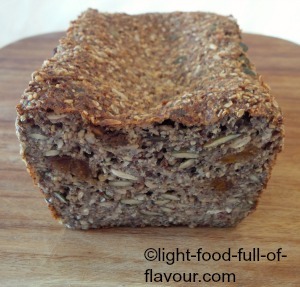 I am hooked on this gluten-free bread with nuts, seeds and quinoa flakes. It tastes like a really good rye bread to me. 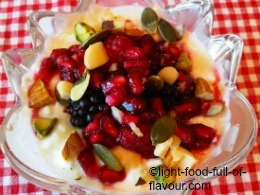 An irresistible and healthy berries and nuts mixture that is quick and easy to make. 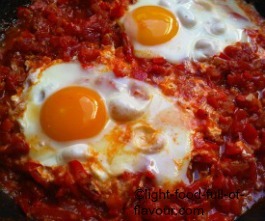 Turkish menemen is a DELICIOUS spiced tomato and red pepper (bell pepper) dish with eggs cooked on top. 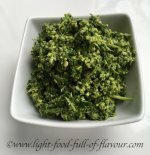 A dish that is perfect for a brunch with a punch! 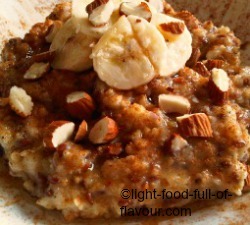 Healthy and tasty porridge with flaxseeds, cinnamon, cardamom nuts and fruit. 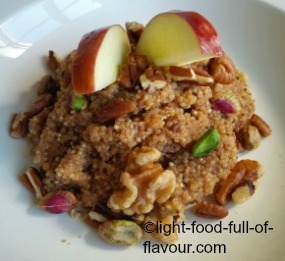 A different take on porridge - a super-healthy quinoa and apple porridge with cinnamon. 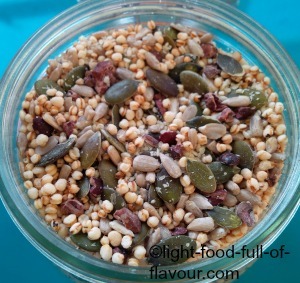 I make a gluten-free quinoa pop muesli with added raw cocoa nibs and lots of seeds - it is both tasty and healthy. 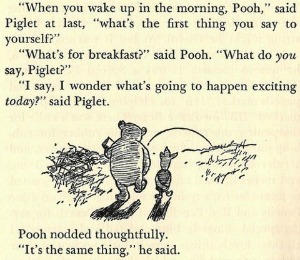 I am a breakfast person. I can't really function without it. OK, so I’m not as desperately hungry as I used to be in the morning. Up until some years ago, I had barely opened my eyes before sheer hunger panic set in. These days I need a little longer to build up the appetite. Once it gets going though, there’s no stopping it. As I won’t leave whatever dwelling I’m in at the moment (my dwellings and the places and countries they are in change a lot) without having eaten something, I have to get up in time to get the appetite going. I know, it’s a battle between sleep and time to eat but a little less sleep and some food in your tummy is a better start to your day. And then there are those days off when, if time allows it, I can’t think of anything better than indulging in something extra special – which for me includes eggs in some shape or form. 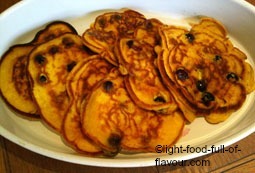 When I want to really spoil any visitors I may have, I make pancakes. 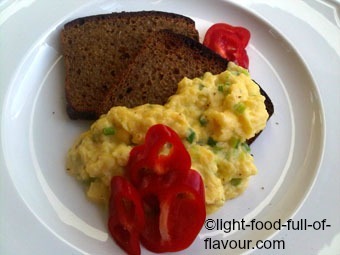 Or I make some super yummy scrambled eggs and serve it with some really good bread. 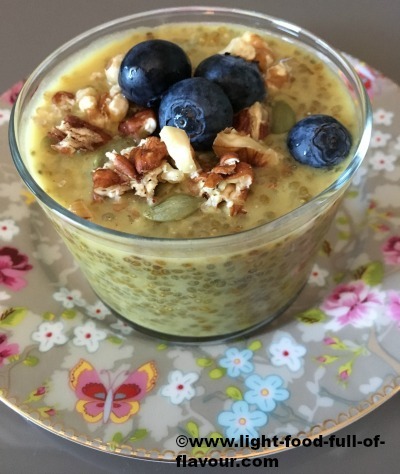 Add to this some Bircher Muesli and an ultra-tasty, oh-so-good-for-you smoothie and you’ll be more than ready for the day ahead.